Okay, so you know how some makeup brands you just associate with an older generation? I hate to admit it, but I totally typecast brands. I really shouldn’t because more often than not, when I try out products from a brand that I think is more geared towards my mom, I usually end up loving them. Arbonne is one of those brands. You may know Arbonne from the many makeup parties they hold, but basically the brand is sold through independent consultants, similar to Mary Kay or Avon. I have tried many products from the brand, heck, I even used a ton of them in one of my Valentine’s Day makeup looks, and I have to admit, their stuff is good. Sure, you can’t buy it at Sephora or the drugstore, but the products pack some serious punch. I had the chance to try out their mascara, and since I am a lash freak, I was so excited to put it to the test. With it’s cheeky name, It’s a Long Story mascara is a high-performance lengthening mascara that creates the look of ultra-dramatic lashes with major longitude. Retailing for C$40, the product is exclusively designed with revolutionary polypeptides to promote the appearance of longer lashes. It includes bamboo and pea extracts and pro-vitamins B5, C, and E pamper and nurture for a lavish, high-gloss look. 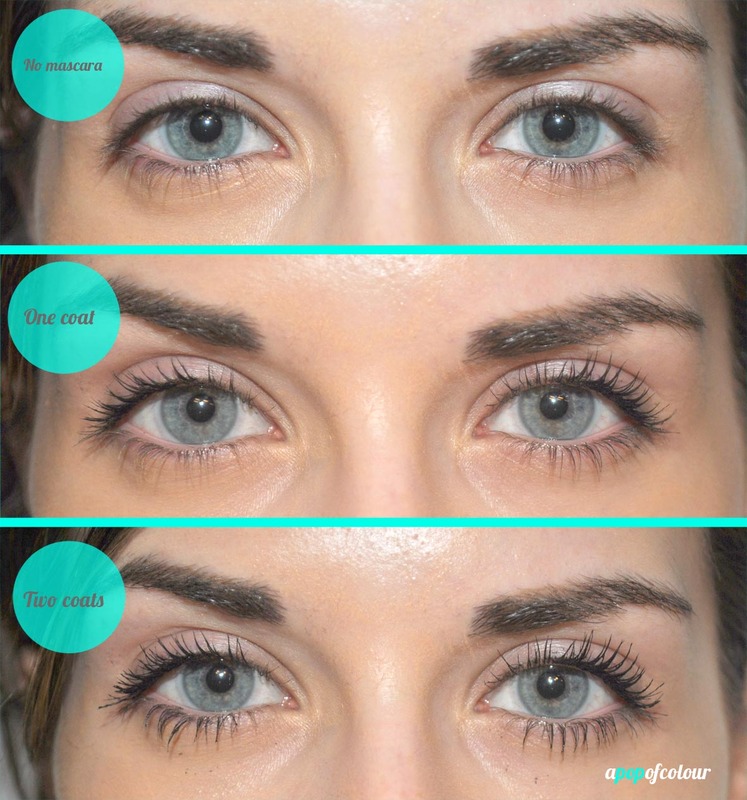 According to their press material, based on a clinical survey of 30 individuals, 97 per cent agreed that their lashes looked longer; 97 per cent loved the look of their lashes; 97 per cent were satisfied with the mascara’s overall performance; 100 per cent were satisfied with the overall condition of their lashes; and 100 per cent agreed that the brush helped define the look of their lashes. I personally love the brush on this mascara because it’s thin and flexible, making it easy to really get to the base of your lashes and wiggle your way up. The wand glides on to create long, luscious lashes. 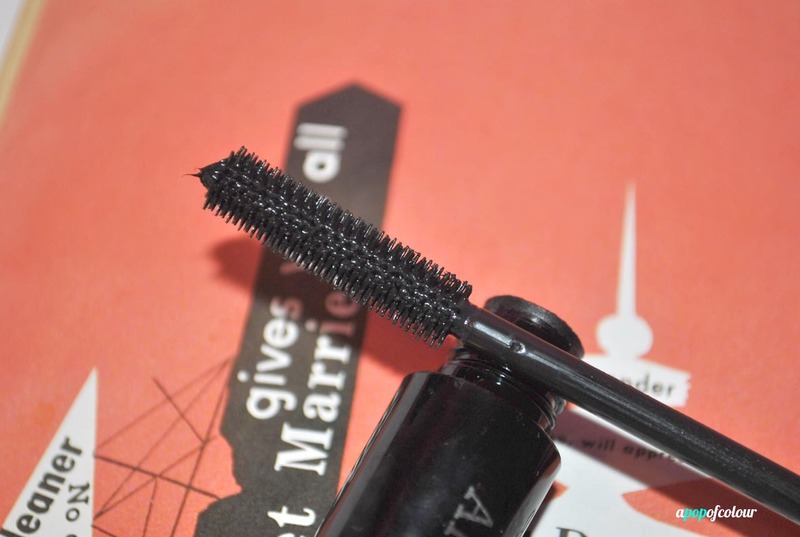 It’s also perfect for layering, which is how I’ve been using this mascara for the most part. Overall, I did like this mascara, and it worked great, but for C$40, I have tried better. I do think it’s a bit overpriced as it’s not the most amazing, holy grail mascara out there. YSL Faux Cils Shocking retails for around the same price and I personally think that’s a better mascara then this one. I feel like I get the same effect with CoverGirl’s Lash Blast Clump Crusher, which I would say would be a good dupe for this mascara and you can buy that one for under $10. Overall, I think It’s a Long Story does a great job; my lashes looked long, so it lives up to its claims, I just feel that at C$40 it’s a bit overpriced. 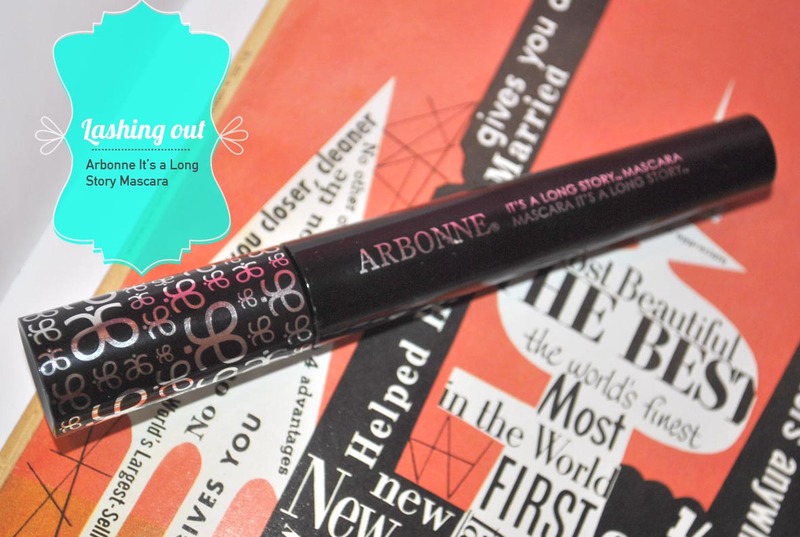 Have you tried Arbonne’s It’s a Long Story mascara? If so, what were your thoughts? That price is the full retail price and the cost is for the high quality of the product – no chemicals and no sneaky ingredients. It is healthy, botanical and, most importantly, effective! I LOVE this mascara! I feels great and it smells great too. I love this mascara! I have to admit that I am usually an avid waterproof mascara user, but I will make an exception here. I also have to agree with the comment below – YSL might be a similar price point, but it is not a similar ingredient policy. Check out Arbonne’s ingredient policy – it’s a whole different ball game when you realize how many harmful chemicals aren’t going into these products. That is full retail. Clients have the opportunity to get 20% and 35% off retail price. Plus you get cash rewards towards future purchases. You also are getting a boutique quality product, with no chemicals, 100% botanical ingredients. Faced with products that use animal by-products, petroleum, and other harmful ingredients, I’ll pay the price.